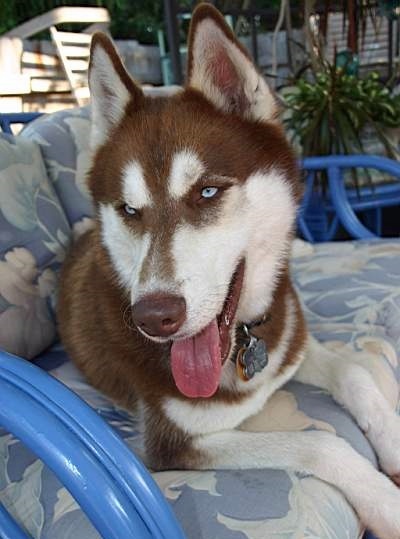 Charlee is an oh-so-handsome Siberian Husky who had his first birthday in May! His red and white coat and brilliant blue eyes are certain to capture your attention and your heart! Charlee is an excellent example of a young Siberian ~ handsome, happy and looking for mischief. 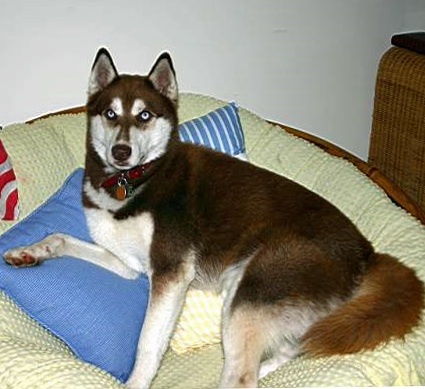 He will be best in a home with another active canine to play with – a tired husky is a good husky! He fancies himself as a lead dog. So he would be happy with another easy-going male or a female who doesn’t want to be the boss. Charlee absolutely loves people and has earned the title Kissy face. Once he has had a good romp with other canine friend(s) he wants to cuddle and be near his family. Charlee wants to be part of the pack, his humans are very important to him. Charlee loves squeaky toys and closely monitored marrow bones. Most of all, Charlee dreams of a family to call his own? The number of pups we can bring into rescue depends on the amount of foster space we have available. We never have a shortage of pups needing rescue, and for some, we are their only chance at a second chance. Foster homes are our greatest asset and the resource we need the most. We provide everything you need ~ crate, blankets, food and medical care. You provide a safe and secure home where our pup will be loved and cared for until they find their forever family. Please "contact us" if you have any questions about fostering or "click here" to submit an application to foster a MaPaw dog.